Algae and moss cause damage and they give your roof a sloppy look. 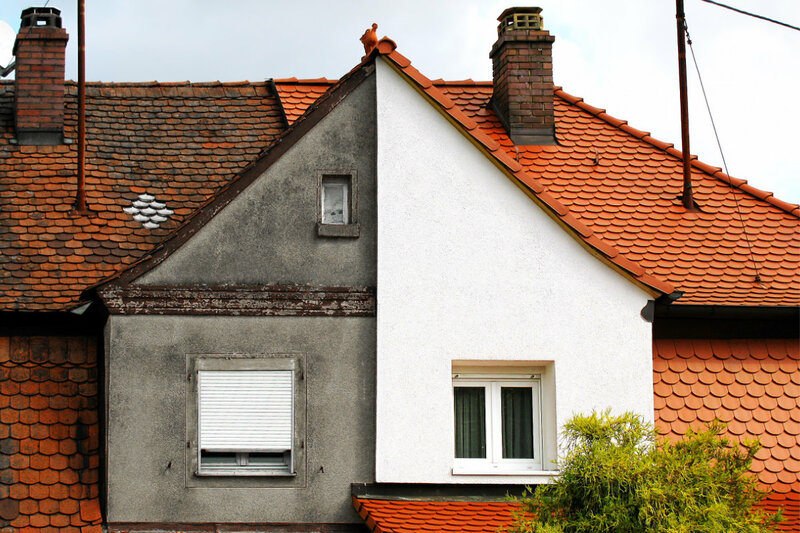 By cleaning your roof, you prevent these problems and your roofing will look like new again. 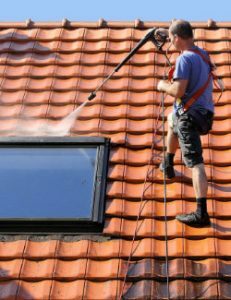 In this article, you can find information about the roof cleaning procedure and the average cost per m². It is best to have your roof cleaned by a specialised cleaning company. They make use of proper techniques and cleaning agents for each type of roof. They also possess the right materials with witch the cleaning can be done safely. Afterwards, the roof can be coated in order to protect the roof better against dirt and changing weather conditions in the future. Do you want to know more about the cost-price of professional roof cleaning? Request for non-binding quotations. First of all, the roof has to be inspected thoroughly. The cleaning depends on the roofing type and the nature of the pollution. A wrong cleaning agent or a too high water pressure could lead to permanent roof damage. It is therefore advisable to rely upon a professional firm in order to ensure a wonderful result. Roof tiles get cleaned by means of hot water and a high-pressure cleaner. Dirt, moss and algae are washed away fluently because of the warmth and strength of the water. If the pollution is too persistent, an extra cleaning product is often used. Also roofing sheets are cleaned in this way. They are very sturdy and stable, as a result of which the high-pressure cleaner is the perfect cleanser. As a slate roof is more fragile, one lowers the water pressure a little. In doing so, damage to your house is avoided. In case of a thatched roof, no water is involved. With this sort of roof, a thin layer of the roof is shaved off entirely. This way, the dirt, moss and algae disappear immediately. After the cleaning, the roof is squirted with a disinfectant so the roof remains clean longer. Afterwards, you can still protect the roof by using roof coating. That means a protective layer is sprayed onto the roof. This layer is either transparant or in a colour of your choice. Thanks to this coating, your roof is much better protected and it will look like new for a longer time. For professional roof cleaning, you pay between 7.5 and 13 pounds per m². The exact price per m² depends on the roof type and the required materials and products. If you choose a cleaning inclusive of coating, the cost will be around 25 to 40 pounds per square metre. Curious about the exact cost-price for your project? Request a noncommittal quotation via our online offer page. In the picture above, the roof has been cleaned and repaired thoroughly. The roof tiles have gotten a red coating that wards off moss and algae. The opportunity was also taken to clean the roof gutters and to repair the outer wall.